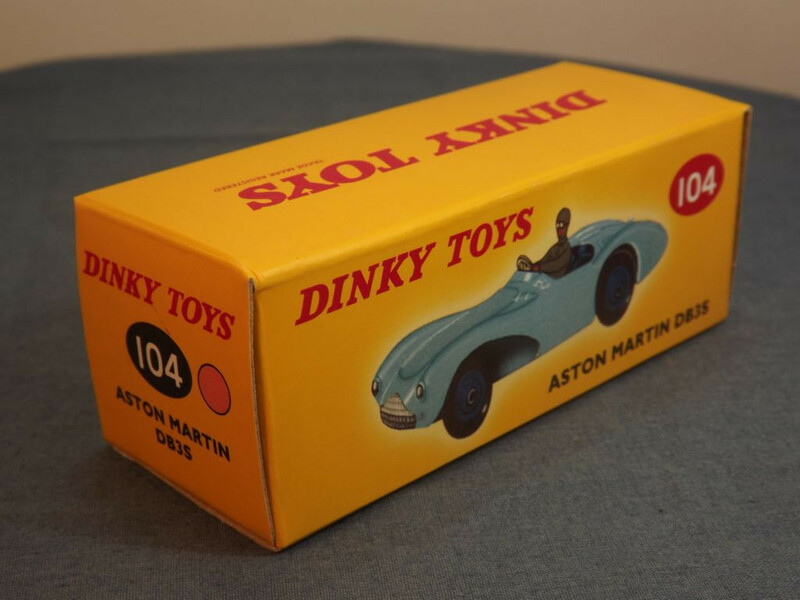 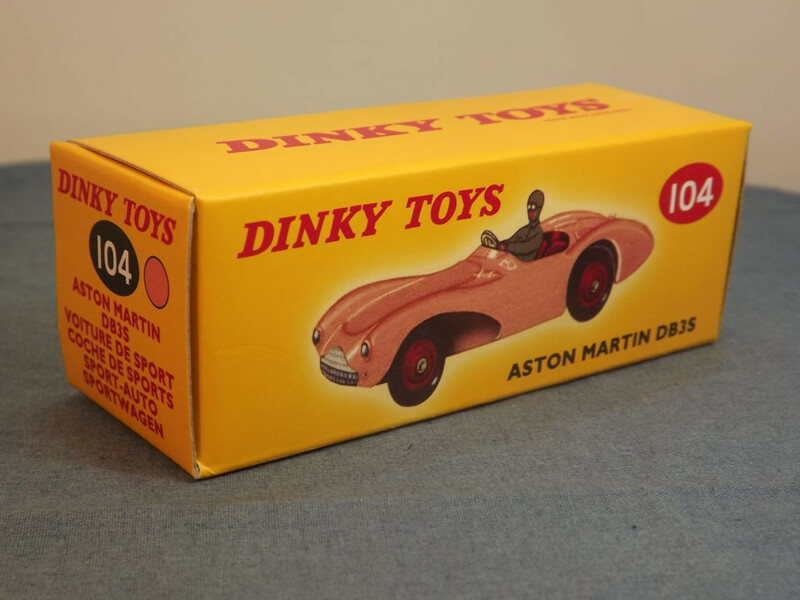 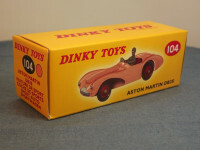 This model is the Editions Atlas Dinky 104-H-1 Aston Martin DB3S in salmon with red interior and hubs. The Atlas issued box carries the correct salmon coloured dot on the end flap. 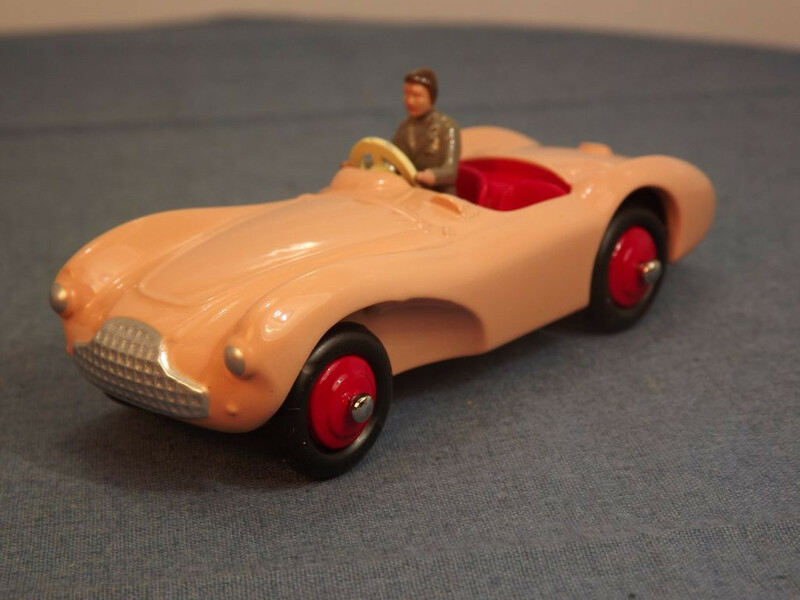 There are no opening parts on this model, all detail such as the petrol cap, bonnet and rear louvres being cast into the body casting. The vehicle is adorned with silver painted grille and headlight lenses to the front, and red tail lights to the rear. 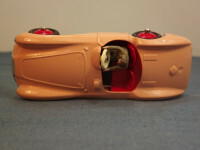 There is no interior as such as the seats appear to be part of the body casting. The seats are red, the driver is grey and there is a cream steering wheel set int othe "dashboard". 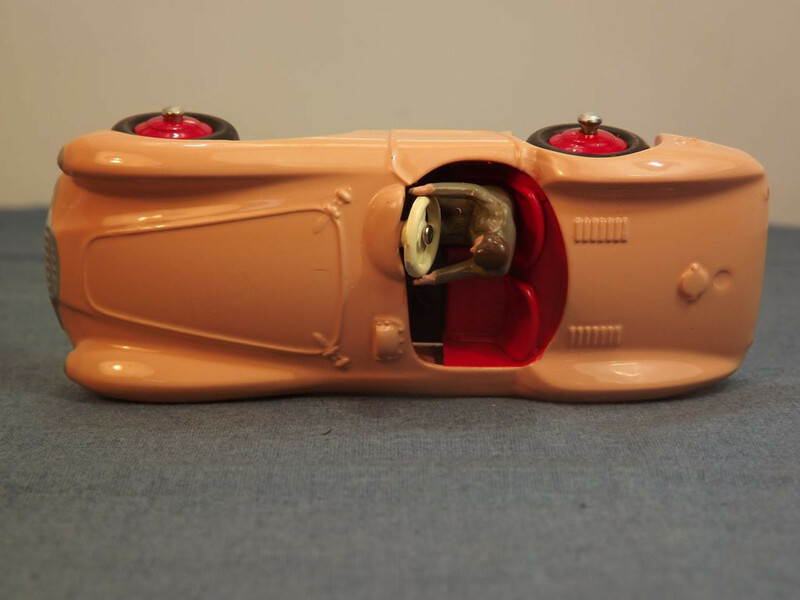 There is no glazing on the model. 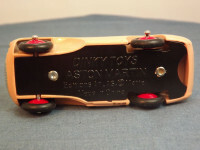 All wheels are one piece, red painted, metal hubs with separate black rubber tyres on domed steel axles which pass through the base plate. 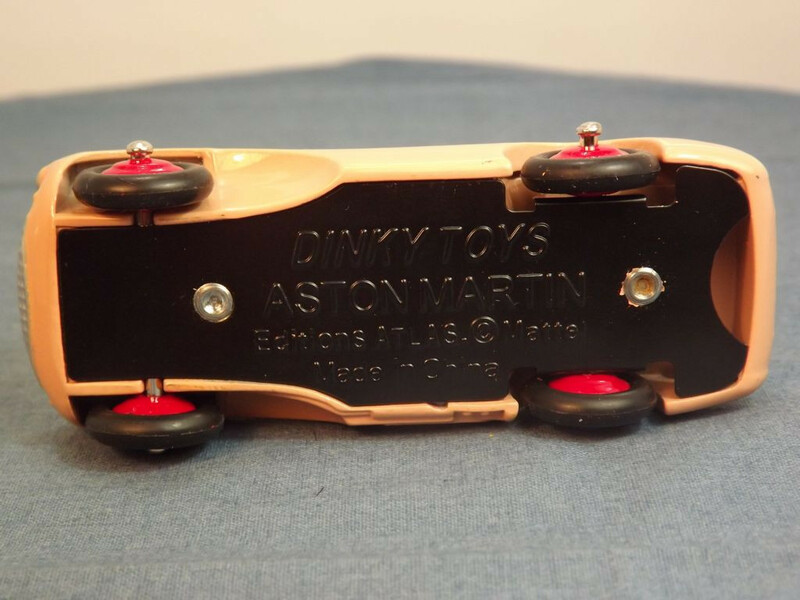 The base plate is black painted tinplate metal that carries the legend "Dinky Toys" to the centre top, "Aston Martin, Editions Atlas &copy; Mattel" on two lines in the centre middle, and " Made in China" at the centre bottom. 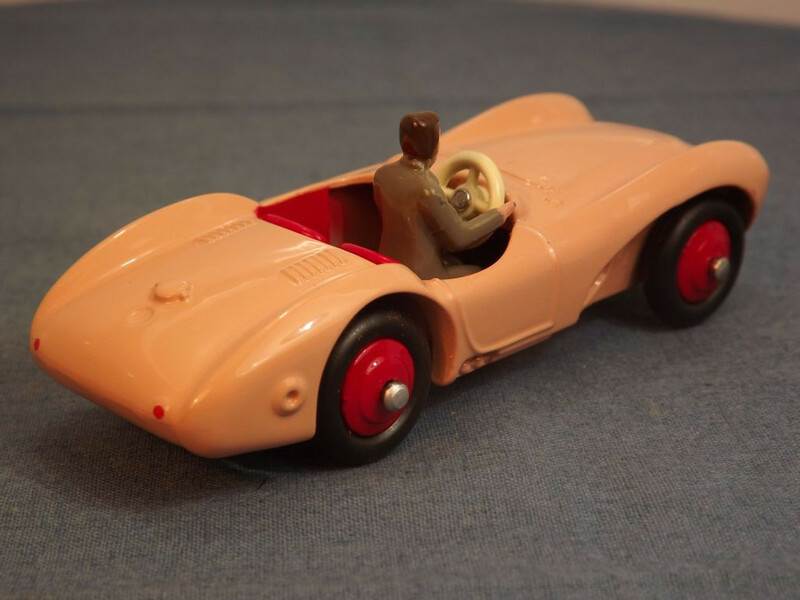 Exact issue date is unknown but thought to be circa 2015/2016.